– Keeping up with a healthy lifestyle without having to invest in a gym membership or compromise their busy schedules. – Create a better work-life balance by promoting a wellness philosophy. – A greater feeling that their employer cares about their health and well-being. The makeup of corporate fitness and wellness programs depends upon each company’s specific characteristics, company culture, and employer incentives. In general, fitness centers have one singular goal – make working out convenient and accessible. It’s best to make sure your fitness and wellness facility appeals to your employees demographic. Focus on staples like flexible space, a variety of equipment options, proper sports flooring, and a comfortable setting. – Multiple people could possibly be working out at one time and you will need an ample amount of space for them. – Make it easily accessible so it doesn’t become a burden to work out. – Place it in an area where the noise doesn’t distract employees who are working at their desks. 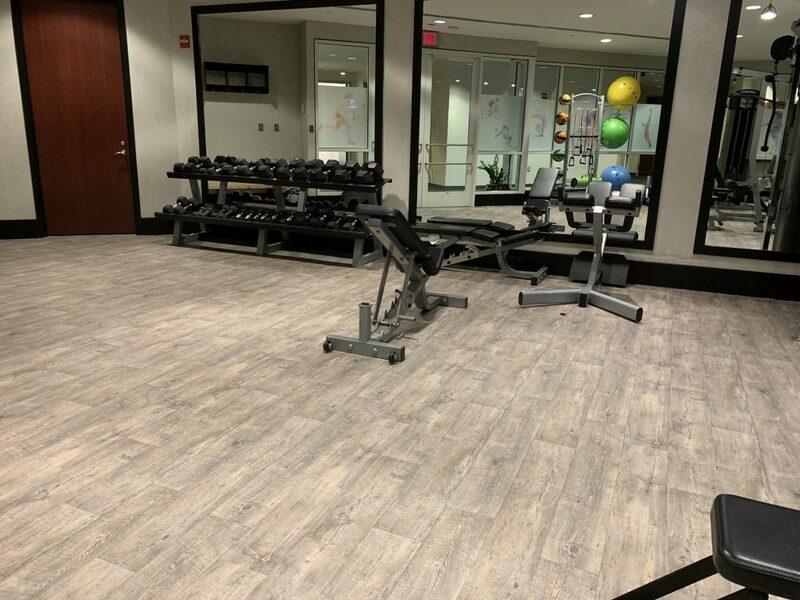 – The gym flooring for the fitness center that should focus on durability, acoustics, safety, and ergonomics. -Cardio: Treadmills are a must. You can also consider things like ellipticals and exercise bikes, but try to find cardio machines that aren’t difficult to use. -Strength: Dumbbells are a staple. Some other go-to’s include a bench press. As you start your search you will see that there are a variety of strength training machines to choose from. – Accessories: Try to get a variety of stretching and yoga mats, exercise balls, medicine balls, Pilates bands and whatever else compliments a complete workout. An onsite fitness facility can be a huge asset to your company and your wellness program. Focus on the essentials. 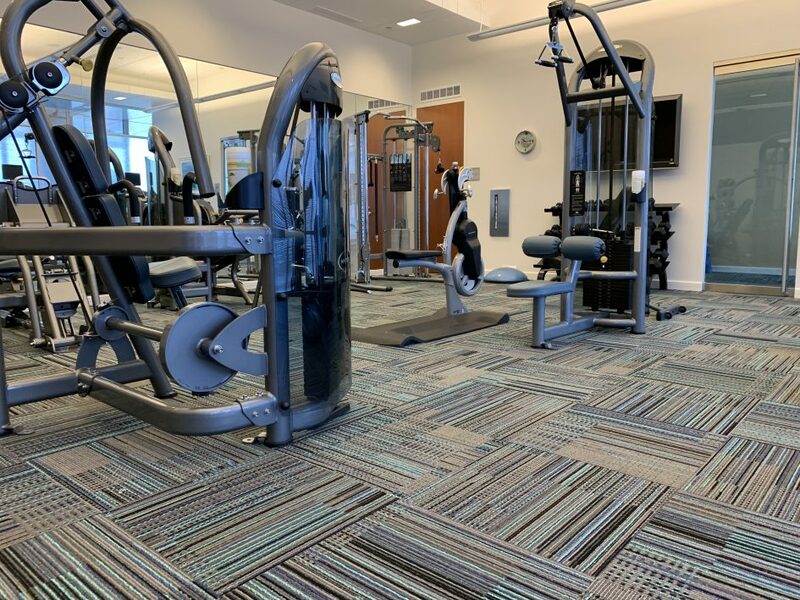 Eagle Mat represents leading flooring manufacturers and provides design specification and installation services for Corporate Fitness Facilities. It’s easy to contact us, and we’re happy to help. You can always call us at (301) 762-2000 or email us at sales@eaglemat.net for more information.